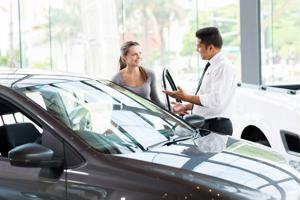 Home Unlabelled Car recalls: Supply chain to blame? When it comes to our lives, safety is usually our top concern, yet there are so many areas in life that force us to live dangerously. We ingest chemicals, use public transportation, seal ourselves into elevators, among other dangers, and we don't even think twice about it. We expect the manufacturers and suppliers to do a quality job while making these potentially hazardous items for us and we trust them. However, it feels that once every few weeks, we hear of some recall or another that's the result of a death or an injury. Every once in a while, these recalls pertain to a toy or some food product, but it's often a related to a vehicle. These multi-ton machines carry us from place to place, but at what risk? How often do cars, trucks and SUVs need to malfunction before the testing facilities in charge of ensuring safety for all actually make the cars safe? Over the past few years, there has been a lot of press about the issues that car companies have had with their products out on the road. We've heard about faulty air bags deploying incorrectly, causing grievous bodily harm and brakes that don't work, causing crashes of all magnitudes. In the past few weeks alone, three major car companies have needed to recall hundreds of thousands of vehicles for a number of reasons. Manufacturing.net reported Mitsubishi recalling over 130,000 cars for unstable electronic control units, which could very well result in crashes. Car and Driver reported that General Motors has recalled nearly 470,000 cars this year for seatbelt attachment failure. These features, mandatory for every car and in nearly every state, should not malfunction, yet models of the Chevy Malibu from 2011 and 2012 needed to head back to the dealerships for repair. And finally this year, Ford Motor Company has recalled 600,000 cars, SUVs and trucks for myriad reasons including steering and light issues, noted ConsumerReports.org. These standard features, imperative for overall safety for the driver and other motorists on the road, should not be problems for professional car makers, yet there are problems arising every few months. No car is perfect, and they are progressively getting safer as the years go on, but perhaps the features that need to be on every car should be the focus, as opposed to parking assist and touch screen audio controls. The safety of all travelers should be the main concern for car companies. However, is it necessarily their full responsibility for the success of the features in a given vehicle? In the supply chain for car manufacturing, there are suppliers who make individual components like locking mechanisms and gears and bolts that allow parts to move properly. Is it their duty to ensure the proper functionality or does the responsibility lie with those who install said components into a given vehicle? Whoever is at fault specifically, it should be the duty of all links in the supply chain to ensure the safety of the drivers. These machines have the potential to drive up to 150 miles per hour, carrying families, driving alongside others, and safety protocol should not be over looked.